REVOLVE is committed to fair labor practices within our supply chain. 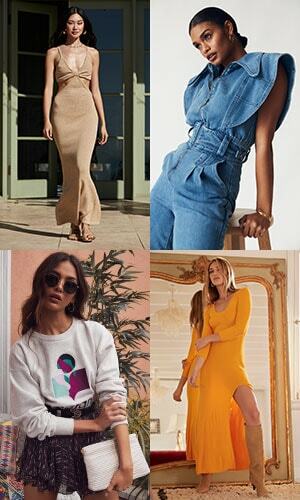 REVOLVE's direct suppliers have been notified of REVOLVE's policy of enforcing and supporting the purpose of the Act and, by accepting a purchase order from REVOLVE, they certify that they will comply with our Vendor Operations Guide, which prohibits slavery and human trafficking. REVOLVE's Code of Conduct holds personnel accountable for ensuring compliance and ethical standards in REVOLVE's domestic and international business. REVOLVE also maintains a compliance "hotline" that all personnel are instructed to use in the event that violations of law or policies are suspected and/or detected. Although REVOLVE does not currently provide specialized training on slavery and human trafficking to its supply chain staff, we require that all employees comply with our policies, including our Code of Conduct, which mandates the prevention of slavery and human trafficking within our supply chain. At this time REVOLVE does not conduct independent, unannounced inspections of third party facilities in its supply chain (in part due to challenges such as visa requirements in territories where REVOLVE conducts business). However, for scheduled visits to supply partner facilities, REVOLVE now routinely includes unannounced agenda items dealing directly with human slavery detection and prevention. Going forward, REVOLVE is actively seeking opportunities to incorporate independent, unannounced audits into its compliance plan. REVOLVE remains committed to serving its customers in a way that helps, not hurts the people and communities involved in its business. We welcome your input on this important issue. Written requests from consumers for a copy of this statement, or other information related to the above, may be obtained by emailing us at legal@revolve.com. Responses will be given within 30 days of receiving such request.